Need to change the name of your online course? 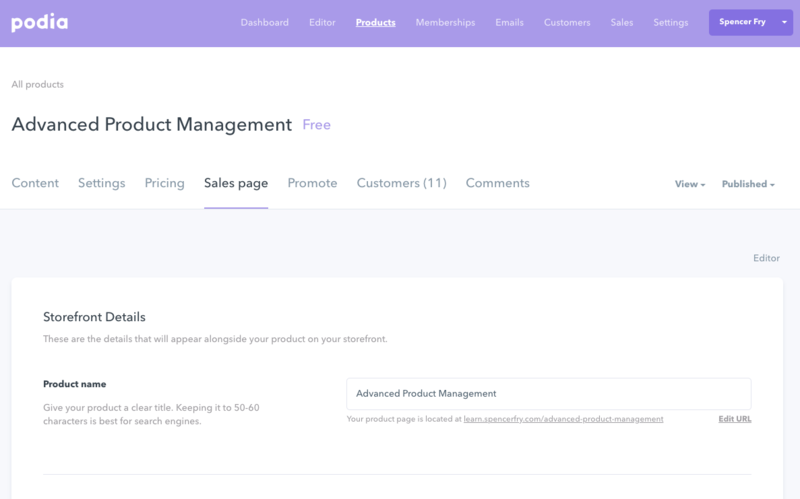 Step 2: Next, click on "Sales page" to toggle into the course editor. You can now edit anything about your course, from the name and description to the files and tags. If you have more questions about how to change the name of your online course, just reach out to us at [email protected] (or just click the little blue icon at the bottom right of the screen).